President Cyril Ramaphosa's state visit in China this week has yielded promising results, following the signing of several cooperation agreements between the two countries on Sunday in Beijing - including a $1.1bn trade investment deal with the Bank of China. The Bank of China intended to work with South Africa's department of trade and industry (DTI) in a special economic zones programme that would become "an engine for rapid investment attraction into South Africa". Another $90m would go into the production of hard coking coal and thermal coal, through an open cast mining project in Makhado in Limpopo in a deal between Baobab Mining and the Exploration and China Railway International Group around the Soutpansberg coalfields area. With the estimated resource at 344.8 million tonnes over a 46-year lifespan, the Makhado project would be "the only producer of hard coking coal in South Africa, which is a vital input into the steel-making industry". 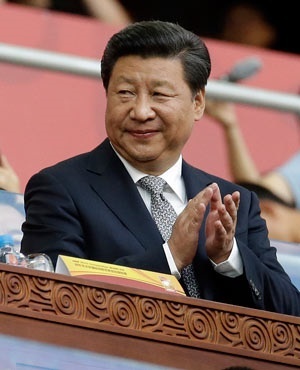 The Bank of China wanted "to financially facilitate the investment activities into South Africa, with a particular focus on Special Economic Zones and Industrial Parks". This included assistance in capacity and institutional building, facilitation of investments in the infrastructure development space, as well as cross-border investment and trade between China and South Africa. "With the memorandum of understanding having been signed, the DTI and the Bank of China will tighten the implementation plan, which will include specific projects, timelines, and institutional arrangements for the implementation," according to a statement. Other agreements involving DTI included the National Development and Reform Commission of the People's Republic of China deal to "promote key projects of cooperation on production capacity" between the two countries. In terms of the agreed implementation framework, the two parties identified a list of Special Economic Zones and Industrial projects that would receive priority focusing in the areas of Musina and Makhado in Limpopo. This included the construction of supporting infrastructures, investment and financing for coking plants, ferromanganese plants, ferrochromium plants, silico-manganese plants, stainless steel plants, supporting administrative service centres, living area service centres, highways, and shipping integrated logistics centres over a period of six years. Further investments under the Taiyuan Iron & Steel project would focus on the planning and construction of the South African Energy Metallurgical projects, such as mingling in coal, chromium and vanadium, as well as a coal washing plant, captive power plant, ironworks and hot rolling mills. A 4 600 MW coal-fired plant was planned under the Power China International Energy Project, also expected to be a phased construction over six years, while the Tianjie Group Refractory Plant and Cement Plant Project aimed to invest in the use of coal slag and steel slag as raw materials for cement plants in half that time.